Despite the flexibility, accuracy, and microscopic detail offered by digital plugin EQs, vintage analog EQ emulations continue to be an enduring part of almost every mixing workflow. So what is it about vintage EQs that separates them from their digital counterparts? Why is it that the equivalent settings in an analog circuit EQ often seem to come across as more ‘musical’ sounding over digital EQs? The answer lays in the perfectly imperfect analog components. The beauty, and frustration, of analog design is that each component has inherent physical limitations. As such, designing an analog EQ is a balancing act of limited form and function that ultimately results in a small degree of phasing and harmonic distortion, non-linear resonances and added noise to the source signal. This may sound like a recipe for disaster, but when the right balance of components and design are achieved, something truly pleasing, beautiful and artistic can emerge. In the history of analog EQs, few designs have withstood the test of time. These comprise the pieces of classic, vintage hardware that are still widely used in professional recording studios and project studios worldwide. When the original hardware is not available, studios look to finely crafted, digital emulations for use ‘in the box’ in their DAW. It is increasingly common to hear of seasoned mixing engineers using digital versions of analog gear that they have readily available in their studio, due to the software’s accuracy, reliability, recallability and being able to insert as many instances as is necessary; either in lieu of or in addition to the hardware units. When approaching a selection of legendary, vintage-modeled EQs, there are many to choose from. So which designs have their footprint most deeply embedded in the music we know and love? How were they most frequently used and how can you get the most out of the vintage EQ emulations you have? In the early 1950s, a company named Pulse Techniques, Inc. (Pultec) released a “program” equalizer that took the audio world by storm. It was a passive design, meaning that the components responsible for the actual equalization did not require a power source. The insertion loss (loss of voltage level) was made up for after the equalization stage with a tube output amplifier, buffered with transformers to isolate potential impedance issues. The result of this incredible design makes it perhaps the most widely regarded EQ in the history of audio. So what makes the Pultec designs so special? Transparency! If there was such a thing as a linear phase EQ in the analog realm, this is about the closest thing to it. Even at the most extreme settings, Pultecs always sound musical. Although there were several variations, the two most widely used models of the Pultec collection were the EQP-1A and the MEQ-5, both included as components in the PuigTec EQs, modeled from Jack Joseph Puig’s (U2, Green Day, Lady Gaga) impeccably maintained personal collection. The EQP-1A is a three-band EQ with a low-frequency shelf that can be boosted and attenuated (individually or simultaneously), a high-frequency parametric boost, and a high-frequency shelving attenuator. Even with its limited frequency selections, the options for getting great sounds are incredible. Start with a boost around 16 kHz on the high-frequency band, and don’t be shy with the gain. ‘Open up’ the sound by widening the bandwidth control; added presence and air will be the result. Add a little 100 Hz on the low-frequency section to add ‘body’. Similar settings can work amazingly well on piano, upright bass and a big rock snare if you set the high-frequency to 5 kHz. The MEQ-5 is a three-band EQ that is designed to fill in the midrange frequencies that the EQP-1A left out. The MEQ is a 3-band EQ with two ‘peak’ bands and one ‘dip’ band. This classic EQ will work great on any sound that requires a bit of midrange EQ work. This includes guitars, piano, keys, vocals and drums. Don’t be fooled by the limited selection of frequencies or inability to cut/boost on each band. The MEQ-5 is most effective when using a classic EQ technique called “feathering”. The idea is to use the dip band to lower a problematic tone in the source sound and follow with two lesser boosts at frequencies just below and above the dipped frequency. This simple yet effective technique will prevent a hollowing out of the source sound that often occurs if only a dip is used. The RS56 EQ is a lesser-known contemporary of the Pultec EQ that was also a passive design. Created by EMI engineer Mike Batchelor in the early 1950s for Abbey Road Studios, it was initially designed as a mastering EQ. Nicknamed the “Curve Bender,” it soon found its way into recording sessions for The Beatles due to its unparalleled ability to shape sound. Far more flexible that the Pultec design, its only limitation was the fact that it was never commercially available to studios other than Abbey Road. This rare gem of vintage EQ history was used on some of the most iconic records of the 50s and 60s. Each of the three bands can be set to low shelf, high shelf or bell curve with four “Q” settings. As the Waves version features the ability to apply EQ in stereo as well as in mid-side, the “Curve Bender” manages to remain ahead of its time. The 1970s brought bigger consoles and more powerful EQs into the pro audio world. In particular, the designs of Rupert Neve resonated powerfully throughout the industry. These EQs were at the center of one of the most amazing eras in music. Bringing power to rock records, warmth to soul records, and low-end thump to dance music, these active EQ designs were fitted onto the iconic 8000 series Neve consoles and have left a mark that will not soon be forgotten. Unlike the transparent passive EQ designs of the past, these Neve EQs featured powerful tonal character along with a pristine Class A preamp stage. Neve EQs were a modular design that contained the preamp and EQ electronics in a single unit. This modular design allowed for quick maintenance when installed in a console and later allowed the units to be rack-mounted and sold as supplements to recording studios without a Neve console. Today, these classics have been modeled into the digital realm by Waves as the Scheps 73, capturing the 1073, the V-EQ3, a combination of the best characteristics of the 1073 and 1066, and the V-EQ4, which captures the 1081. The 1073’s iconic sound is a result of the Class A preamp stage, world renown Marinair transformer, and a three-band EQ circuit that maintains low and high frequency shelving EQs, a midrange bell circuit with seven frequency selections, and a high filter. It is important to note that the original 1073 EQ only had six midrange frequency selections, but Waves came across the design of a modified 1073 with a 10 kHz selection and added it into the Scheps 73. The true essence of the 1073 comes out in the rich harmonic distortion when driven with gain. This is not just about turning up the preamp stage, which the Scheps 73 features, but is also about the gain staging of the active EQ circuits. As a result, the real power of the 1073 comes in the form boosting more than attenuation. You can achieve amazing results with aggressive boosting and then balancing the gain with the output fader. While the 1073 sounds spectacular, the limited number of bands and frequency selections can inhibit the ability to carve up a sound to detail if necessary. Thus the 1081 EQ was born: a four-band EQ with high-pass and low-pass filters. The 1081 design offers bell selections on the low- and high-frequency shelving EQs and a Hi-Q feature that narrows the bell curve width. The two bell bands maintain a total of 20 frequency selections, unlike the 1073 which has one band and six frequency selections. Like the 1073 EQ, the 1081 benefits from heavy boosts to drive harmonic distortion, as included in the V-EQ4. When used on guitars, the heavy boosts, coupled with Hi-Q settings will drive them through any mix. Use the HPF to warm the high frequencies, the LPF to focus the low-end and carve whatever sound you want in between. Running in parallel with the British-based Neve corporation, a US company called Automated Processes, Inc. (API) was also creating legendary EQs for their modular consoles. Powered by the iconic 2520 op-amp (operational amplifier), their discrete circuit designs soon took the audio world by storm. Known for warmth, punch and clarity, the defining feature of their 500 series EQs is the then-unique proportional “Q” circuitry. Proportional “Q” is a feature that narrows the bandwidth of the bell curve as the boost or attenuation becomes greater. This design is based on a principle that an engineer using large boosts or attenuations is most often attempting to focus the sound. A fixed, or widening, Q would generally work against this principle. Additionally, the proportional Q design also creates a minimum of phase distortion at extreme settings. Coupled with loads of headroom, the API EQs always sound rich and musical. The 550A was API’s standard channel EQ for their first console design, released in 1971. This simple three-band design has 15 total frequency selections with the high- and low-bands switchable between peak and shelving modes. It also has a wide bandpass filter on a single switch that cuts frequencies below 50 Hz and above 15 kHz. Although it is an exceptional EQ for almost any instrument, the proportional Q characteristics are exceptionally ideal for use on guitar. Their similar 550B model, also an included component in the Waves API 550 plugin, features an additional set of midrange frequency options to modify a sound with further detail. The API 560 is a ten-band graphic EQ designed as a companion to the 550 models. Unlike the 550s, which use stepped gain selections, the 560 maintains fully-variable gain controls which allows for more detailed shaping of the sound. If the stepped gain settings of the 550 are not giving the detailed control you are looking for, the 560 is almost always the perfect solution. As with the 550, the 560 also uses the 2520 op-amps and features the proportional Q bandwidth setting that is a signature sound of the API EQs. While no single vintage EQ will work perfectly in every situation, certain frequency selections on a given EQ will stand out as special above same frequencies in other EQs. Seasoned engineers connect these special frequencies to specific instruments and quickly reach for the right gear when available. The problem has always been that no hardware EQ ever built will give you all of your favorite frequency selections in one unit. Enter the Manny Marroquin EQ! In this plugin, Manny has assembled his favorite EQ selections from the Quad 8 EQ, Neve 1073, Motown EQ, API 550, Avalon 2055 and SSL 9080 XL K. The result is a stunning collection of frequencies that always seems to sound musical, no matter the source. Unless you are fortunate enough to have used the actual vintage hardware discussed in this article, you may be at a loss for where to begin. The EQs outlined here are only a few select pieces among many classic EQ designs. The console-emulated TG12345, Helios, and SSL E and G EQs are just a few further examples of classic EQs that all have their own unique sonic footprint in the history of recording. 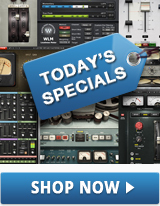 Select one vintage EQ and use it exclusively on every sound and instrument. You will quickly come to realize the strengths and weaknesses of that model. Take note where each EQ excels and notice the overall tonal quality it adds to the song. If you apply this approach to each vintage emulation, you will soon be armed with a knowledge and experience that will greatly enhance personal and professional mix work. For more on shaping tone, learn how to re-amp with plugins, and to polish your overall mix, see our 8 buss mixing tips.